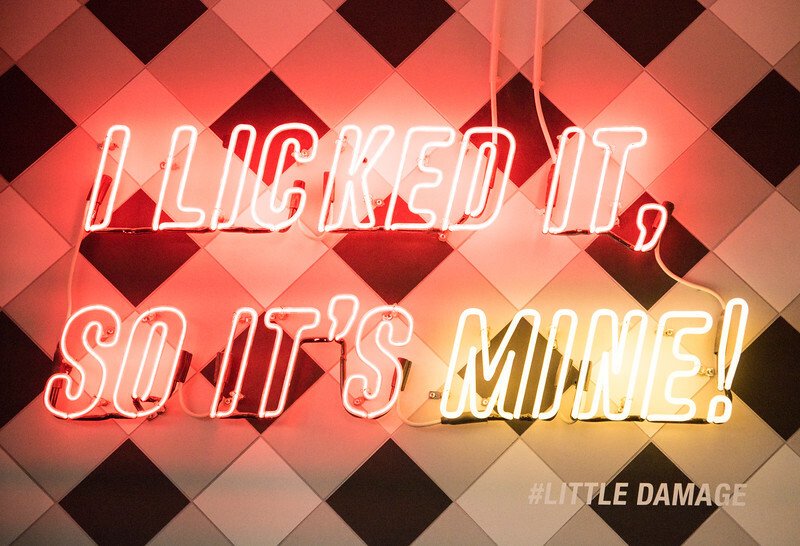 Not much has changed since the night when Little Damage Ice Cream Shop made its grand opening debut six months ago in Downtown Los Angeles. The date was February 18 and droves of curious Angelenos desperate for a different kind of sweet tooth fix, waited in long lines to sample an intriguing dark-colored ice cream flavor called Almond Charcoal. Fast forward to this summer and the long lines are still there. 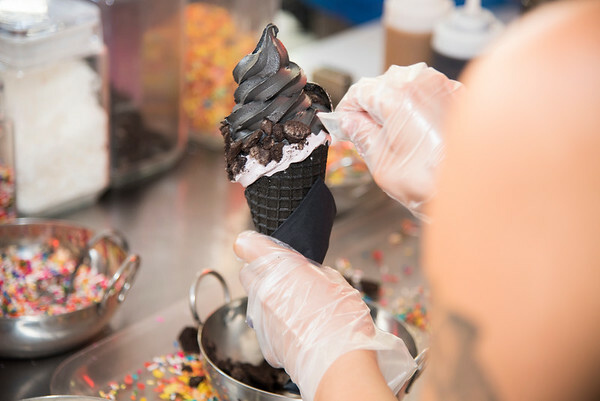 The soft-serve ice cream shop has quickly become a popular destination, especially as their original Almond Charcoal’s grey hue started evolving into a pitch black color. Many described the black ice cream, made with activated charcoal and served on a black waffle cone as the best Goth Ice Cream in town. On a recent summer afternoon, dozens of curious customers like Molina braved triple digit heat in a line that extended outside of the Little Damage shop. Once they received their soft-serve cone, oftentimes covered in toppings such as sprinkles, Oreo crumbs, coconut shavings and caramel popcorn, customers made sure to do one thing before savoring the first taste— take pictures of the unique cold treat. The owners say preparing the ice cream is a labor of love that involves daily small batches of local ingredients supplied by organic dairy farms. The shop’s menu always includes at least one vegan option.